MacSmart is an adware program for Apple Mac OS X, that displays pop-up ads and advertisements on web pages that you visit. These advertisements will be shown as boxes containing various coupons that are available, as underlined keywords, pop-up ads or advertising banners. MacSmart is advertised as a program that displays coupons for sites you are visiting and competitive prices when you are viewing product pages at sites like Amazon. Though this may sound like a useful service, the MacSmart application can be intrusive and will display ads whether you want them to or not. When installed, the MacSmart application will display advertising banners, pop-up advertisements and in-text ads, stating that they are brought to you by “MacSmart”. These ads are aimed to promote the installation of additional questionable content including web browser toolbars, optimization utilities and other products, all so the MacSmart publisher can generate pay-per-click revenue. How did got MacSmart on my computer? MacSmart is an adware program that is commonly bundled with other free programs that you download off of the Internet. Unfortunately, some free downloads do not adequately disclose that other software will also be installed and you may find that you have installed MacSmart without your knowledge. MacSmart is typically added when you install another free software that had bundled into their installation this adware program. Most commonly MacSmart is bundled within the installers from Cnet, Softonic or other similar custom third-party installers. You should always pay attention when installing software because often, a software installer includes optional installs, such as this MacSmart adware. Be very careful what you agree to install. Always opt for the custom installation and deselect anything that is not familiar, especially optional software that you never wanted to download and install in the first place. It goes without saying that you should not install software that you don’t trust. This page is a comprehensive guide, which will remove “MacSmart” virus from your computer, and any other adware program that may have been installed during the setup process. In this first step, we will search and remove all the MacSmart files from your machine. Click on the “Go” button, then select “Applications”. 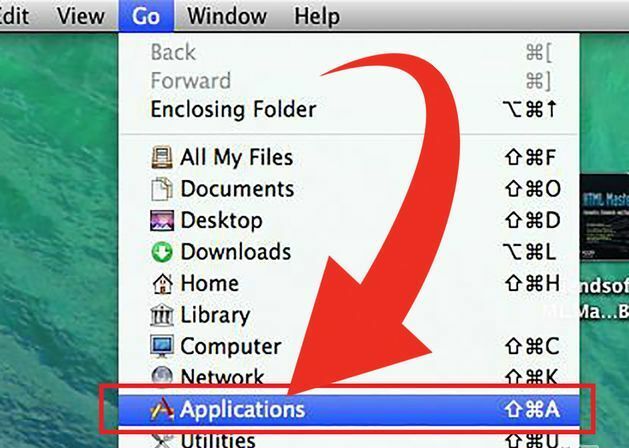 When the Application folder will open, search for the MacSmart application. 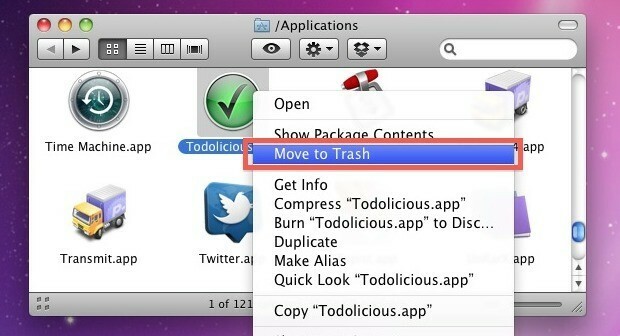 Either drag the application icon to the Trash, or right-click and select “Move to Trash”. If your having issues finding the MacSmart malicious application, you can perform a scan with the “Adware Removal Tool (Download Link)” from The Safe Mac. If you are still experiencing issues with “Ads by MacSmart” virus within Safari, Firefox or Chrome, we will need to remove the MacSmart browser extension. This step needs to be performed only if your issues have not been solved by the previous steps. 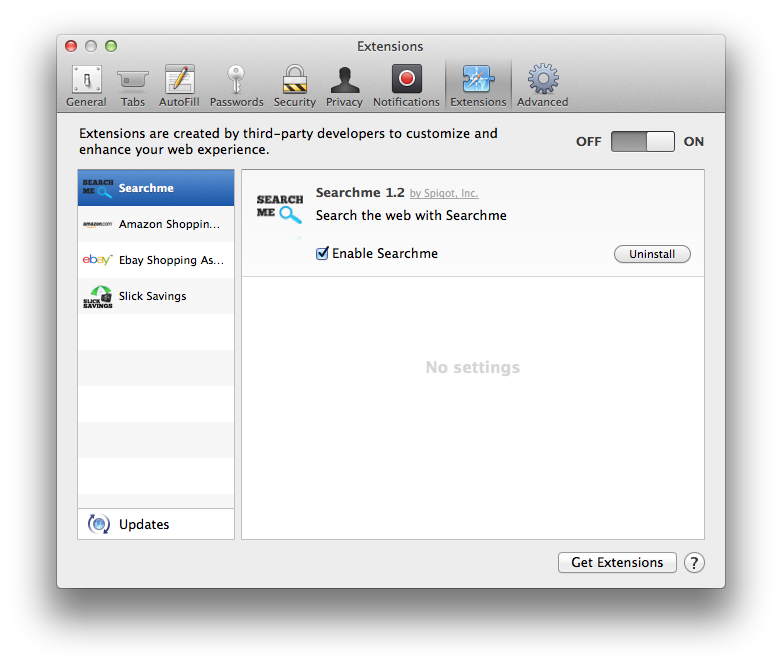 In the Safari Preferences window, click the “Extensions” tab. Find the “MacSmart” plugin, then click on the “Uninstall” button. On the Extensions window, remove the MacSmart and any other unknown extensions by clicking the trash can icon. In the upper-right corner of the Firefox window, click the Firefox menu button ( ), then click “Add-ons“. 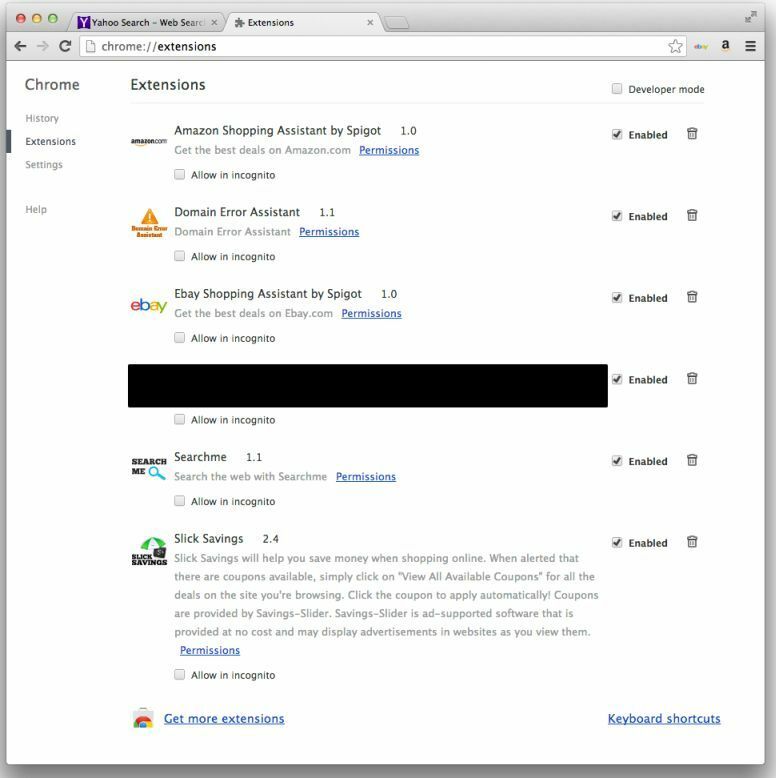 Select the Extensions tab, then remove MacSmart and any other unknown extensions from Mozilla Firefox. Avast Antivirus is a a powerful antivirus for Mac which will detect and remove the MacSmart adware from your Apple Mac OS X. You can download avast! Free Antivirus for Mac utility from the below link. After downloading avast Antivirus for Mac, double-click the downloaded file ‘avast_free_antivirus_mac_setup.dmg‘. In the new window double-click on ‘avast!.pkg’ file and follow the instructions on the displayed window ( read AVAST End User License Agreement, click ‘Agree‘, and then click ‘Install’ to complete the installation then press ‘Close’. When the Avast Antivirus will start, perform a “Full System Scan” to remove MacSmart adware from your Mac OS X.
Avast will remove MacSmart virus from Apple Mac OS X, and furthermore Avast Antivirus will protect your Mac OS X from future infection. 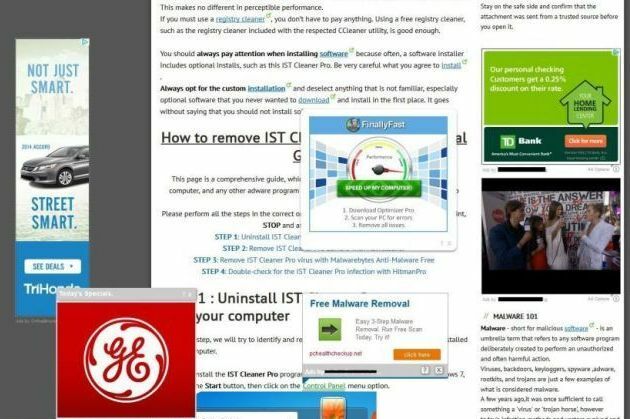 Your Apple Mac OS X should now be free of any adware infection. If you are still experiencing problems while trying to remove adware from your machine, please start a new thread in our Malware Removal Assistance forum.